"Journalists" are having a field day with reports that Donald Trump is having his second annual physical since becoming President of the United States Friday - a relatively minor occurrence that, since the outbreak of Trump Derangement Syndrome around two years ago, has apparently become cause for national speculation and in-depth critique. President Trump is set to get his annual physical later today. 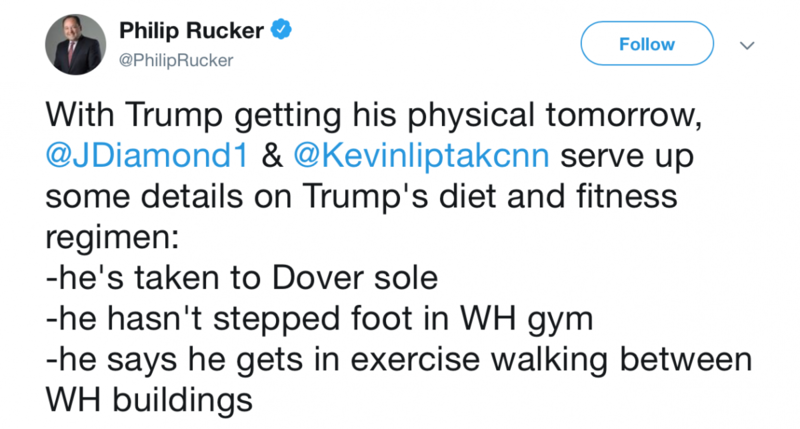 MSNBC’s Philip Rucker “reported” the hard-hitting news that Trump has switched to a new shoe sole for his foot comfort, and still doesn’t frequent the White House gym. 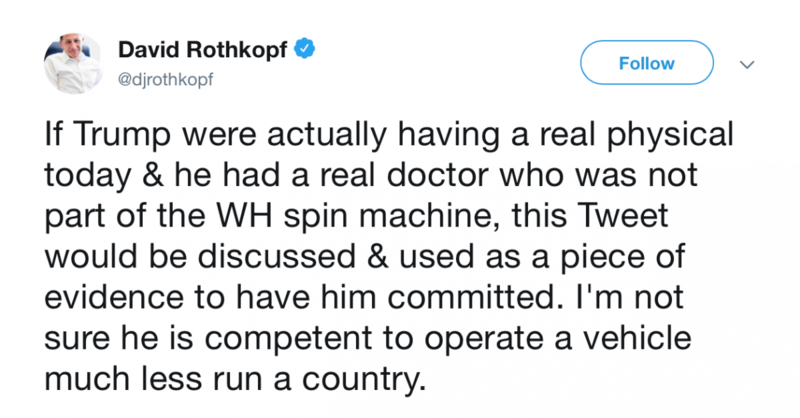 David Rothkopf complained that the doctors conducting the physical are part of the White House’s “spin machine" to hide the fact that Trump should be "committed." 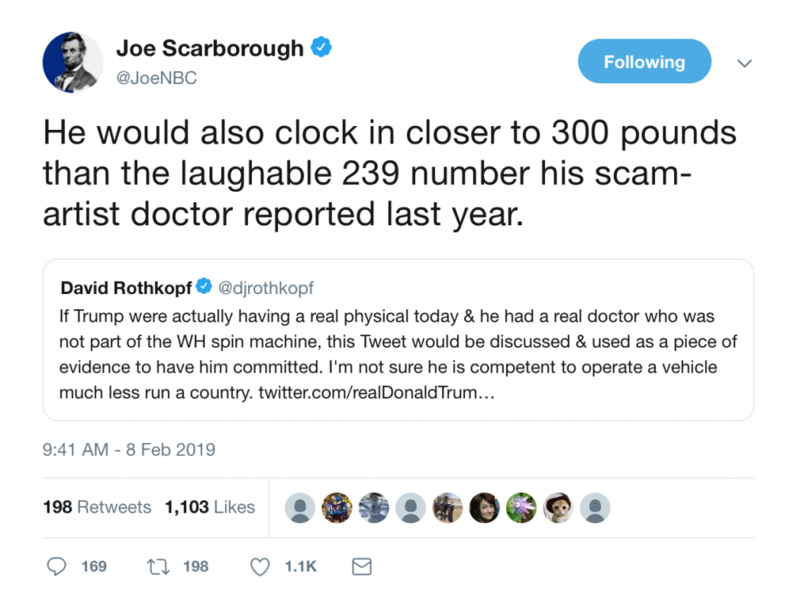 NBC’s Joe Scarborough questioned Trump’s weight. The Hill fretted that Trump hasn't been following his doctor's orders to the letter. As for me, I don’t care much one way or the other how Trump’s physical goes, so long as the man’s relatively healthy and doesn't keel over from a heart attack. 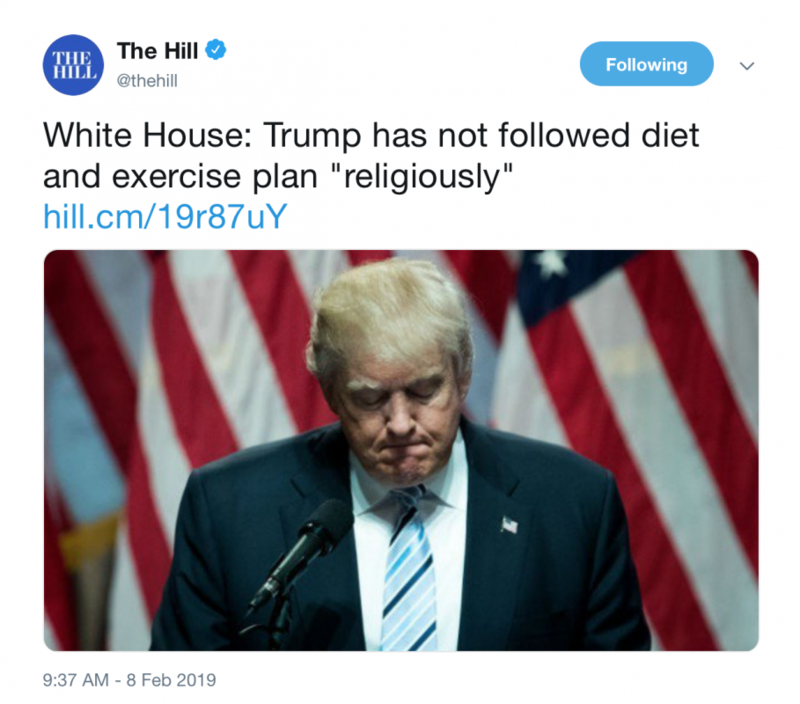 But I doubt any of his critics get their recommended daily intake of fruits and vegetables either, so hey - let he who knows no trans-fats cast the first apple.